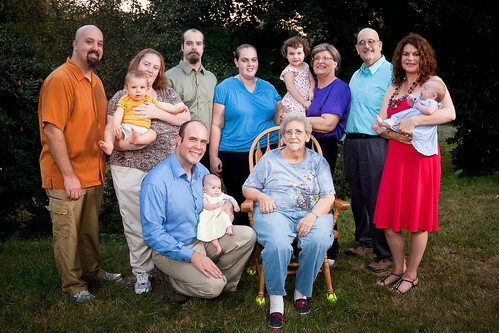 We were able to coordinate a family photo with everybody while Jim and Lisa were visiting in Connecticut. It’s great that we were able to get Grammy to come up to see everybody, and to meet Sophia and Isabella. In this photo, you can see four generations of Wolfgangs! Thanks to Rakoczy Photography for crafting the photo! Next: Grammy with Sophia and Isabella.